Uncategorized | I JUST WANT 2 RIDE!! April is Motorcycle Helmet Awareness month so how about an air conditioned helmet? The EPA Wants to VIOLATE your WARRENTY! The EPA wants to hep you do just that. – On March, 12, the U.S. Environmental Protection Agency announced it would makes regulatory changes to allow year-round sales of E15 fuel. This action would put the owners of millions of motorcycles and ATVs at significant risk because the dangers of this fuel are not clearly identified at the pump, E15 can cause engine and fuel system damage to machines not designed for its use and use of E15 may void the manufacturers’ warranty. The American Motorcyclist Association opposes the proposed change and we are urging you to take advantage of the public comment period for this regulatory change and tell the EPA to reconsider this move and protect American motorcyclists from this unsafe fuel. Suzuki’s radar reflector – An interesting idea to hep motorcycles fit into the world of auto-piloted cars. Even a Rolling Stone can get robbed. Keith Richards, still alive BTW, was robbed of some classic off-road motorcycles including 1977 Maico 400. Motocross racer breaks his motorcycle in half landing a jump. Be aware that this list is for the United States, there is no way I could cover the entire world. But in the world of global manufacturing, if it is being recalled in one country there is a good chance it is under recall in others. If you are US based use the NHTSA website http://www.safercar.gov. Enter your VIN number to see if your motorcycle is affected by the recall. If you are based in Europe use the Safety Gate website to locate recalls that may impact you. Over time, increased resistance at the battery connection may result in the Battery Management System unexpectedly shutting down propulsion power. The front suspension and steering system may loosen or wear, possibly resulting in a loss of steering control. Incorrect machining of the transmission case may result in premature failure of the gearbox. The headlights on the motorcycles may be spaced too far apart to appear as a motorcycle to oncoming traffic. The front turn signal lights are not positioned at, or near, the front of the motorcycle as required. In the event of a front brake system failure, the rear brake system may not allow the vehicle to meet the minimum stopping distance requirements. In the event of a crash, the seat may not support the driver as intended, preventing the seatbelts from holding the driver in place. There is no service brake warning light to warn the operator if there is a brake system malfunction. CONSEQUENCE: Any or all of these conditions can increase the risk of a crash. REMEDY: Arcimoto has notified all affected owners and the motorcycles are within the manufacturer’s control. Owners may contact Arcimoto customer service at 1-541-683-6293. …………………. 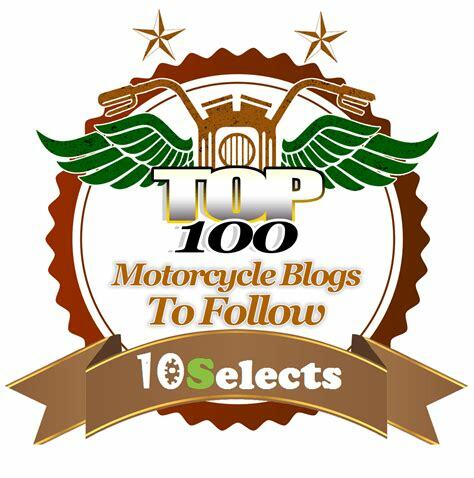 Rebloged from Maryland Moto! It took me a long time to decide on non-insulated waterproof gloves. I was looking for something to cover temperatures above the comfortable range of my Scorpion Tempest gloves and too cool or wet for my Klim Induction gloves. I purchased the Vanguard GTX Short gloves in the beginning of November and have worn them for at least a thousand miles so far. After my first couple of rides, still clean! During 2018 I collected 18 motorcycle memes that I though were funny, good or made a point. Most memes are quite sad, these on the other hand worked for me. Why the 9 Best Motorcycle Memes? Because everyone does 10 and 11 is to much work. Hope you enjoy them too. 9 Weird Motorcycles from 2018! For the last few years I have posted my 9 Weird Motorcycles list. The motorcycles of 2018 have not disappointed. These are motorcycles I stumble upon these as I bounce around on Twitter, Facebook, Reddit, etc.. This year I started with 27 bikes but it was not to hard to get them down to nine. Why 9? Because everyone does 10 and 11 is to much work! 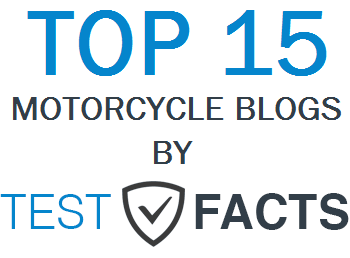 It is likely that those weird motorcycles that did not make the list will be sprinkled around the IJUSTWANT2RIDE Facebook page. If you want to check out last years list click here for the 2017 Weird Motorcycles. Just a quick note, these motorcycles may have been around for a few years, but I first noticed them this past year. If you are Europe based use the Safety Gate website to locate recalls that may impact you. Manufacturer: Kawasaki Motors Corp., U.S.A.
SUMMARY: Kawasaki Motor Corp., U.S.A. (KMC) is recalling certain 2018 Kawasaki Z900, Z900 ABS, and Z900RS vehicles. The rear brake hose and rear wheel rotation sensor wire may have been incorrectly routed, allowing them to contact the rear tire. CONSEQUENCE: If the brake hose contacts the rear tire, the hose may be damaged, reducing the braking performance. If the wheel rotation wire gets damaged, the ABS may not function properly. Either condition can increase the risk of a crash. REMEDY: KMC will notify owners, and dealers will inspect the brake line and rear wheel sensor wire routing, correcting the routing and replacing any damaged component, free of charge. The recall began December 17, 2018. Owners may contact KMC customer service at 1-866-802-9381. KMC’s number for this recall is MC18-06. SUMMARY: Yamaha Motor Corporation, USA (Yamaha) is recalling certain 2015-2018 Yamaha YZFR3 motorcycles. The upper radiator hose may crack resulting in a coolant leak. CONSEQUENCE: If coolant leaks onto the rear tire, it can cause a loss of control, increasing the risk of a crash. REMEDY: Yamaha will notify owners, and dealers will install a new upper radiator hose, free of charge. The recall is expected to begin December 17, 2018. Owners may contact Yamaha customer service at 1-800-962-7926. Yamaha’s number for this recall is 990125. SUMMARY: Yamaha Motor Corporation, USA (Yamaha) is recalling certain 2015-2016 Yamaha YZFR3 motorcycles. The shift shaft torsion spring may fracture, giving the shifter a loose feel and affecting the ability to shift gears. CONSEQUENCE: Difficulty shifting gears can cause a loss of control and increase the risk of a crash. REMEDY: Yamaha will notify owners, and dealers will install a new shift shaft torsion spring, free of charge. The recall is expected to begin December 17, 2018. Owners may contact Yamaha customer service at 1-800-962-7926. Yamaha’s number for this recall is 990126. SUMMARY: Ducati North America (Ducati) is recalling certain 2018-2019 Ducati Panigale V4, V4 S and V4 SP motorcycles. The timing chain tensioner may loosen over time, possibly causing oil to leak from the bottom of the tensioner adjustment bolt. CONSEQUENCE: An oil leak can increase the risk of a crash. REMEDY: Ducati will notify owners, and dealers will tighten the timing chain tensioner bolts, free of charge. The recall is expected to begin January 25, 2019. Owners may contact Ducati customer service at 1-888-391-5446. SUMMARY: Ducati North America (Ducati) is recalling certain 2017-2019 Ducati Monster 1200, Monster 821, SuperSport and SuperSport S motorcycles. The shift lever may have been incorrectly assembled, possibly resulting in the shift knob detaching from the lever. CONSEQUENCE: If the shift knob detaches, the rider may not be able to shift gears, increasing the risk of a crash. REMEDY: Ducati will notify owners, and dealers will inspect the gear lever shift knob tightness, replacing it as necessary, free of charge. The recall is expected to begin January 25, 2019. Owners may contact Ducati customer service at 1-888-391-5446. SUMMARY: Ducati North America (Ducati) is recalling certain 2018-2019 Ducati Panigale V4, V4 S, and V4 SP motorcycles. The oil cooler output port may crack, causing an oil leak. CONSEQUENCE: An engine oil leak can increase the risk of a crash. REMEDY: Ducati will notify owners, and dealers will replace the oil cooler, free of charge. The recall is expected to begin January 24, 2019. Owners may contact Ducati customer service at 1-888-391-5446. Here’s the 2nd challenge collectors coin that I’ve designed and had produced. This Coin is made of brass, has an duo tone antique finish, measures 1.75 inches (44mm) in diameter. This will make a unique gift for the motorcycle enthusiast, challenge coin collector, or anyone who collects motorcycle related memorabilia. 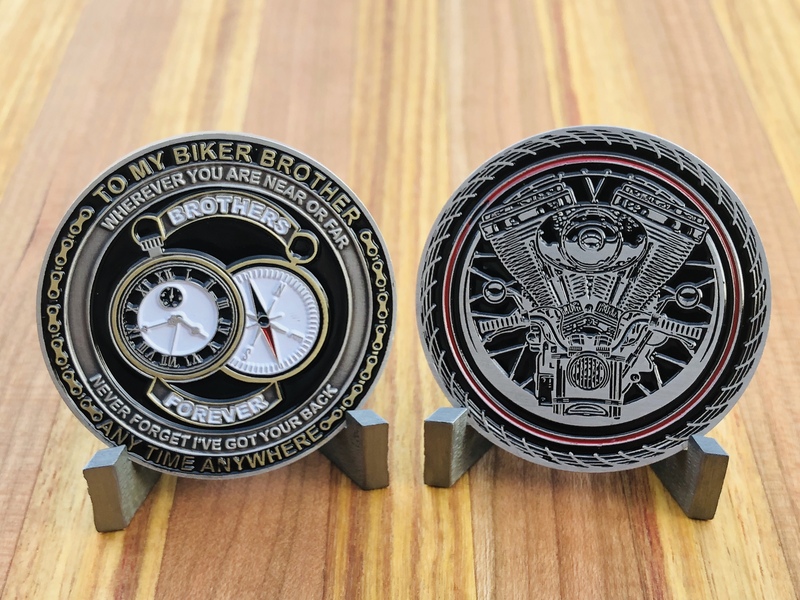 Features a pocket watch and a compass as symbols to represent “To my biker brother anytime anywhere”, “Wherever you are near or far never forget I’ve got your back” and “Brothers Forever”. Features a Motorcycle engine along with the handlebars and headlight inside a motorcycle spoked wheel with a red sidewall tire. Available HERE on eBay along with the 1st coin I designed last month. I’ve also got 2 more motorcycle related coins in the works I hope to have for the holiday shopping starting soon. ……………………………………………………….…. One of the Motorcycle Blogs I follow was featured in the Eire News! Awesome article from the the Erie News Now about the Riding For A Cure Ride! Go check it out! 5 Motorcycle Things from the Inter-Webs that caught my eye! OEM Applications 2 different approaches …. Ducati v. Yamaha (RevZilla). A “drunk” Yamaha motorcycle sets land speed record! HEY, hold by vodka and watch this! An Art-Deco Masterpiece of motorcycle design. Introduced at the 1929 Paris Motor Show the Majestic was a sells flop. Would it be a flop today? First Yamaha now BMW! Do we need self-driving motorcycles? I mean REALLY GUYS…All Hail SKYNET!!!! I really hope these self-driving motorcycles are just thought experiments. Would you “ride” a self-driving motorcycle? If you could not do it yourself why not take the self-driving car? At least you would not get wet. Historical Comment – Originally constructed of timber in 1835, Dam No. 5 was an important source of hydro power for millworks on the river. As soon as the dam was built, Edward Colston paid $100 a year for water rights and began the area’s long history of milling and hydro-electricity. Ride to the Site – Very easy. Not far off of I-70 access to Dam #5 is an easy ride. Amenities – There is a picnic area but no rest rooms. Road Conditions (from main road) – This lock is directly off the main road. Railway Situation – no railroad tracks or crossing. Parking Lot Condition – Gravel with about 10 parking spots. Pick your spot as a few have a drainage slope. Main Attraction – The Dam, fishing and the view. My Thoughts – As you exit the road you go down a shot but somewhat steep hill (gravel).